Everyone has some kind of home décor. Whether we’ve invested a lot of money, or a small amount, our home says something about out personal tastes and style. Maybe it’s those bright and bold throw pillows, or that chair with the wild fabric. Those are the pieces that start to tell the story of your personal aesthetic. Your child’s room is no different. So often, I see kids’ rooms that are devoid of anything interesting. Plain, uninteresting furniture with white walls, and maybe a cartoon character bedding set. Or maybe there’s a wall of brightly colored plastic drawers. Where’s the joy in that?!?! Or the excitement and stimulation. Look, I get. I really do. Kids are rough on things, outgrow things, and change their little minds at the drop of a hat. However, when they have something that they really like, they want it. FOREVER. That’s where the UP Junior chair comes in. With its whimsical, yet totally modern styling, the UP Junior chair is a perfect fit for a kid’s room, or in the playroom. Depending on the décor of your home, it could be a great addition to your living room. Who doesn’t love having their own special spot to sit? 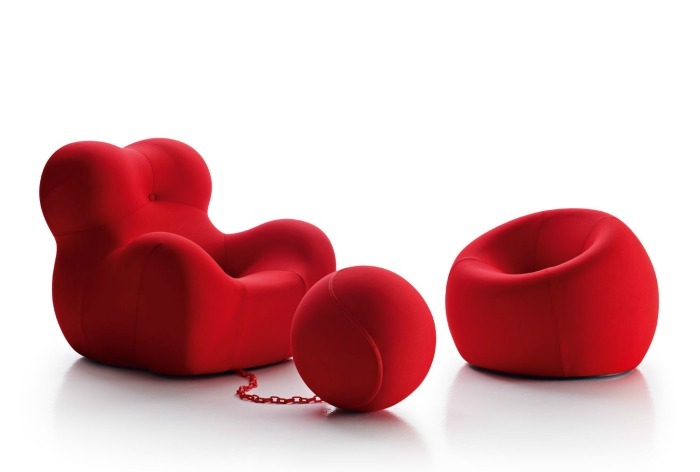 The UP Junior chair is based on the design classic UP chair, designed by Gaetano Pesce. The UP chair, which burst on the scene in 1969, is still widely regarded as a design icon. 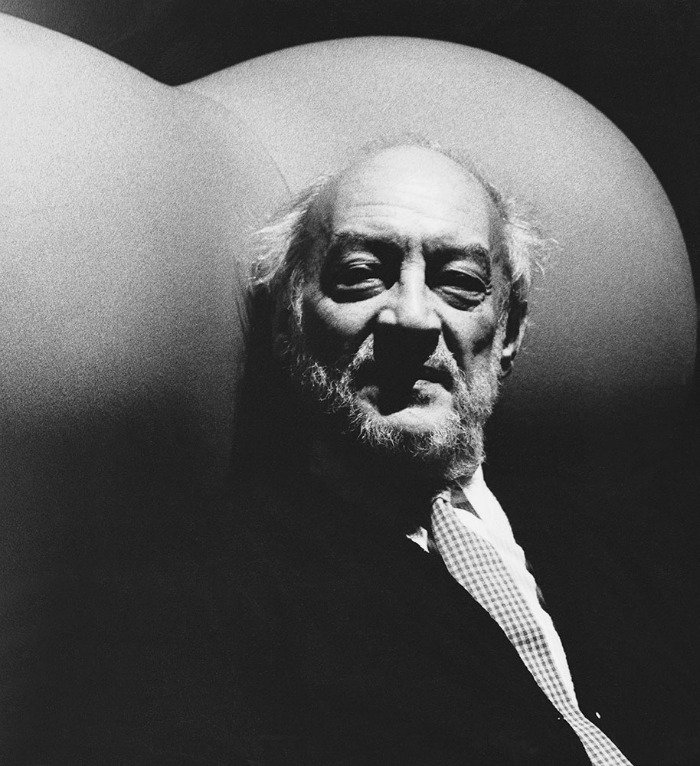 The original UP chair help to revolutionize Italian design. 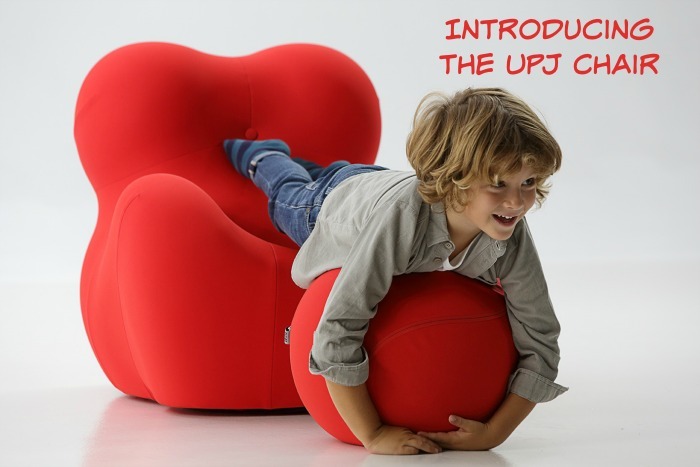 The Up Junior, or UPJ chair, is a scaled down version of this icon. It’s the perfect size for children, and makes for quite the statement piece. The UPJ chair is making its debut. Don’t miss your chance to own something that really is a unique focal piece, not to mention a conversation starter, in your home. Not even joking – I want one of these UP Chairs in my house! 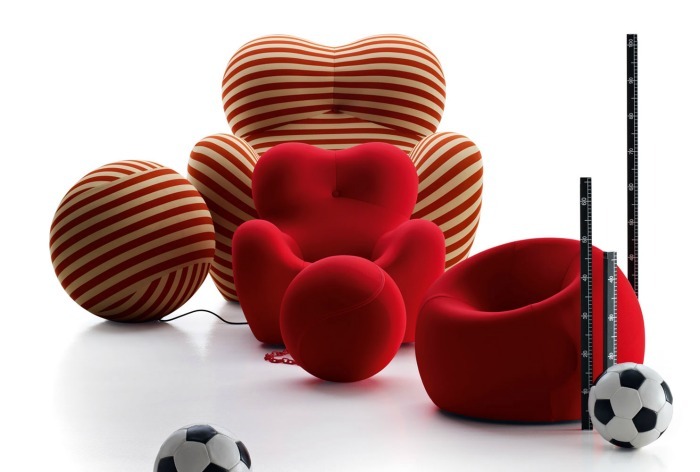 The UPJ chair will be shown in the Christmas display windows of B & B Italia stores everywhere.